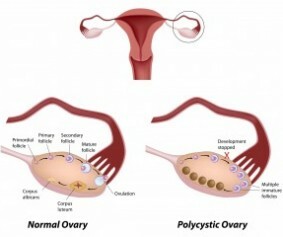 Polycystic ovary syndrome (PCOS) is the most common female endocrine disorder, affecting approximately 5%-10% of all females. PCOS is a hormonal disorder that involves multiple organ systems within the body, and is believed to be fundamentally caused by insensitivity to the hormone insulin. 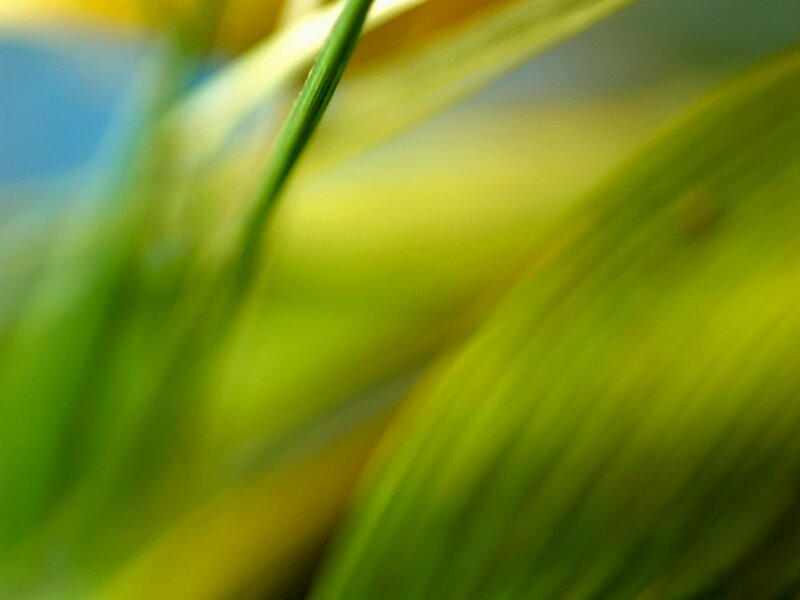 It can be diagnosed in all phases of life – in girls as young as 8-9 years of age, up through post-menopause. Although PCOS is one of the leading causes of infertility, the reproductive aspects of the disorder are secondary. PCOS is not limited to women of reproductive age or potential. As the name “polycystic” suggests, many cysts typically develop in the ovaries of a woman with this condition. These cysts or follicles (fluid filled sacs) contain eggs; but in women with PCOS, the ovary does not produce enough hormones for egg maturation. 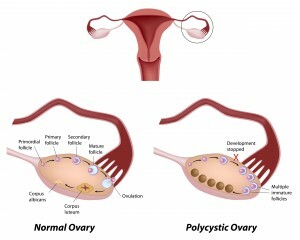 Unable to escape, the follicles or cysts remain and build up in the ovaries, preventing ovulation. In addition, the ovaries tend to produce excess levels of androgens (male hormones) in women with PCOS, which can also negatively impact ovulation and fertility.